Many people think of aprons as an old fashioned thing that people don’t use anymore. 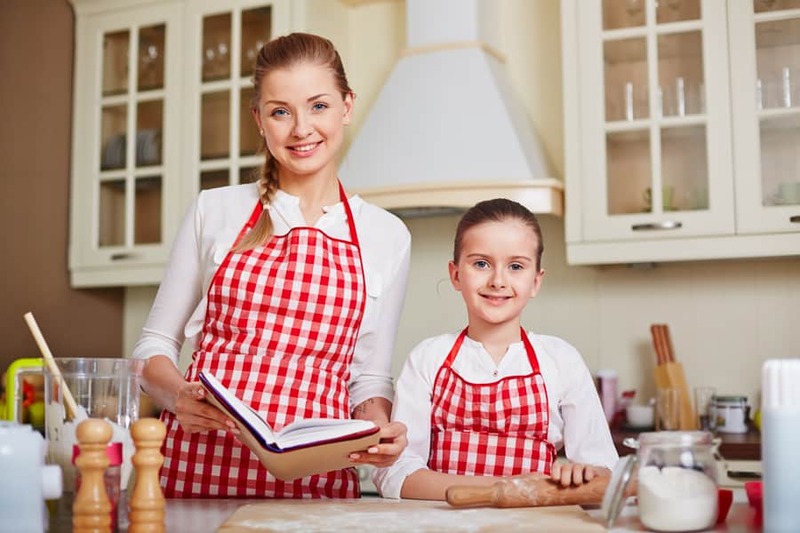 But aprons can be a useful tool for homemakers and women that want to be efficient in the home. They aren’t just for wearing when you cook. 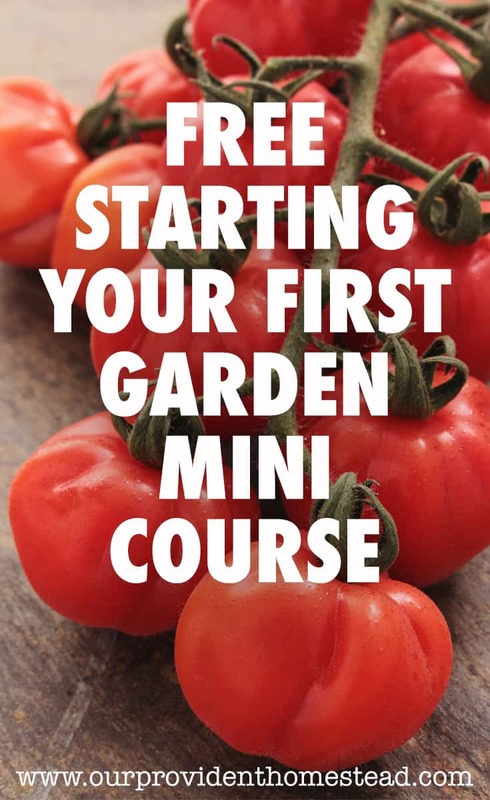 You can also gather produce and eggs, use as a oven mitt and to wipe down counters if needed. 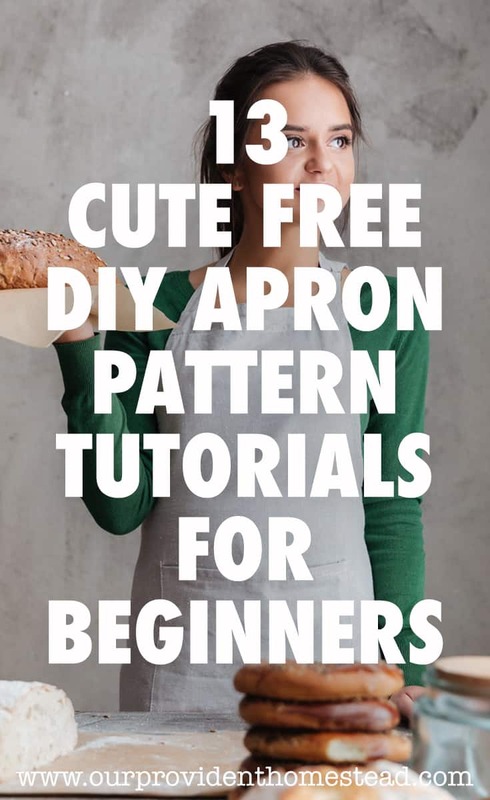 So today, I searched the internet (who am I kidding, Pinterest) and found some great free DIY apron pattern tutorials so that you can make your own apron (or several) for your busy life. Fuchsia Dot Apron @ Amy Hearts It! Don’t these look so fun and pretty! I just gotta make one for myself! I hope these patterns and examples have given you some ideas of an apron (or 5) that you can make for yourself soon too. Why do you use an apron (or want to use one)? Let us know in the comments below. And if you found this post helpful, please share. Thanks! We have tried homeschooling twice with my boys and it just doesn’t work for us. Even though I love the idea of homeschooling, we aren’t homeschoolers. So it is almost time for my kids to go back to school. I love back to school time because it is a return to order and learning. My kids and family have had a great summer with lots of fun and adventure. But we also get lazy in the summer. The kids sleep in, play more video games and spend more time with friends. They also stay up late and snack a lot throughout the day. So I am usually ready for August, back to school and the order it brings to our home. Today, I wanted to share with you some helpful hacks that I have found to bring order to the back to school season. These bloggers really have it together (or so it seems) and I can learn a lot from their posts. I have 3 teenagers, so we are in the middle school and high school phase of life. But many of these things can be adapted to any age to help you get a handle on the back to school routine. 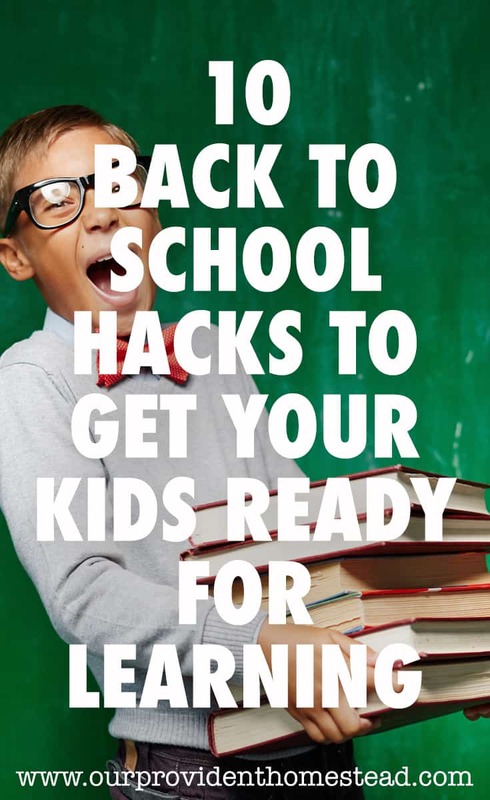 Don’t these links just get your fired up for back to school? It makes me want to go buy school supplies and a new backpack! Who am I kidding? I love school supplies all year long! I hope these ideas from all of these amazing bloggers will give you some motivation to get organized and ready for back to school. This is a great time establish new rules and routines with your kids to keep your sanity all year long! 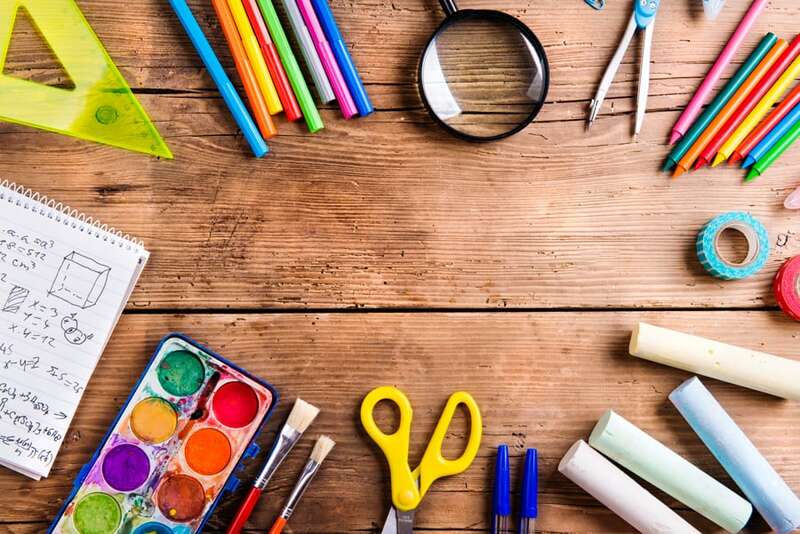 What back to school organization tips have you used at your home? Let us know in the comments below. And if you found this post helpful, please share. We are towards the end of our baseball season here. My youngest son is on two teams (at the same time) in Little League. My older son played high school baseball which ended before school got out. My two older sons are umpiring for little league as well, so life is busy. As you can tell, we love baseball at our house. To me, baseball and summer go hand in hand. I love sitting at the ball fields on May and June evenings and watch my boys play (or umpire) baseball. I want to represent this family past time by using baseballs in our summer home decor. 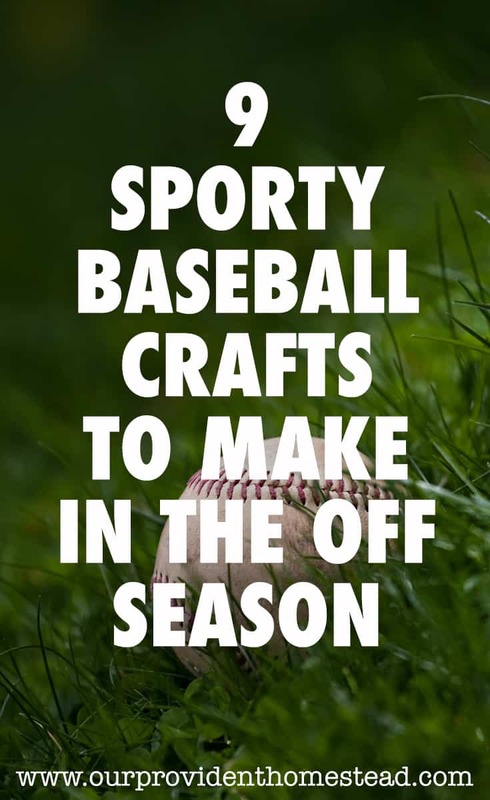 So today, I want to share with you the baseball crafts I found online (who are we kidding, Pinterest!). I just love these baseball ideas. 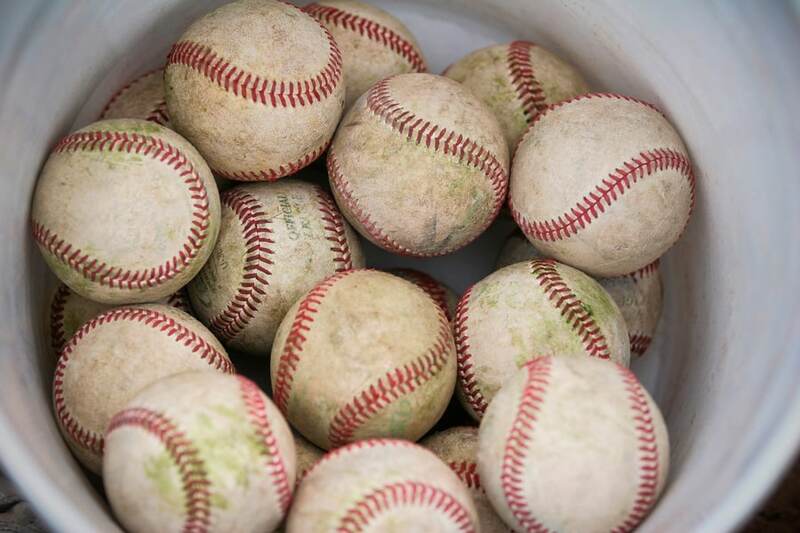 You can use old baseballs for these projects, buy new cheap baseballs or even use baseballs that your kids have kept from games (homeruns, etc). You can also get your kids involved in these crafts, give them to coaches or as Father’s Day gifts. I hope this list has helped get your baseball craft creative juices flowing. 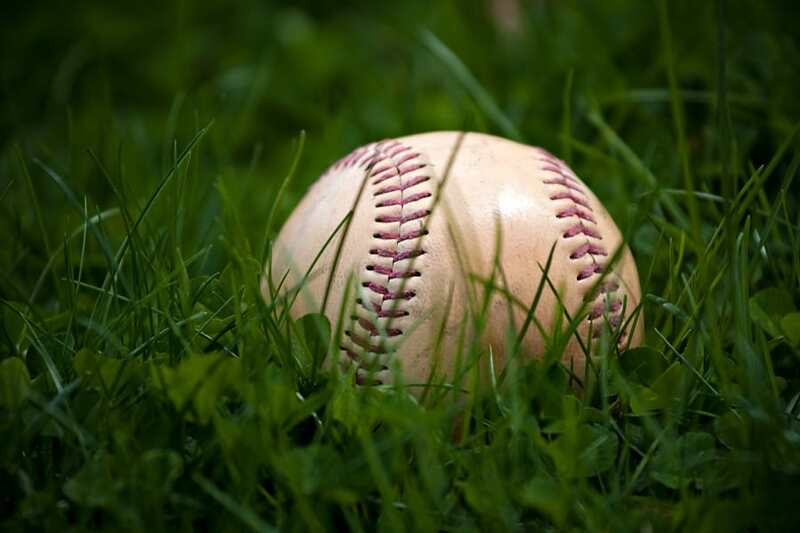 I know I am ready to chop up a baseball and make it into something new and fun. Which one of these crafts is your favorite? Let us know in the comments below. And if you found this post helpful, please share. Thanks! We have 3 teenage boys and life is hectic. 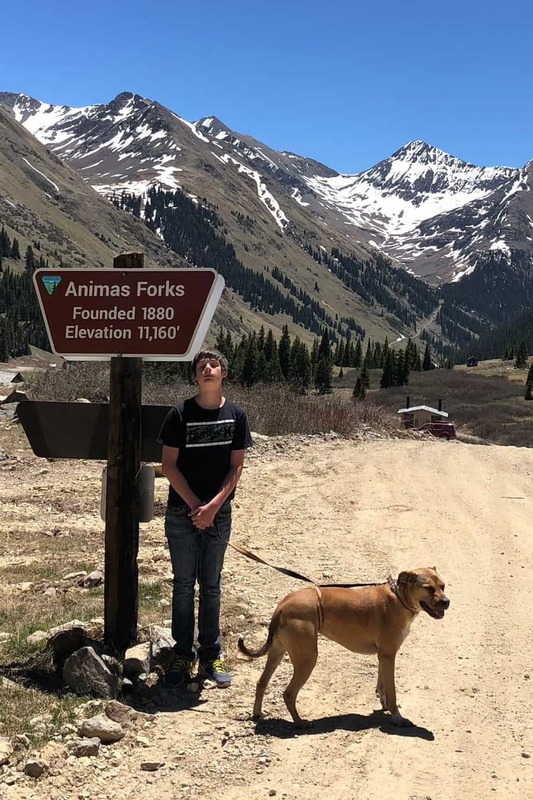 Here are some pictures of our Memorial Day weekend camping trip to Silverton, Colorado. 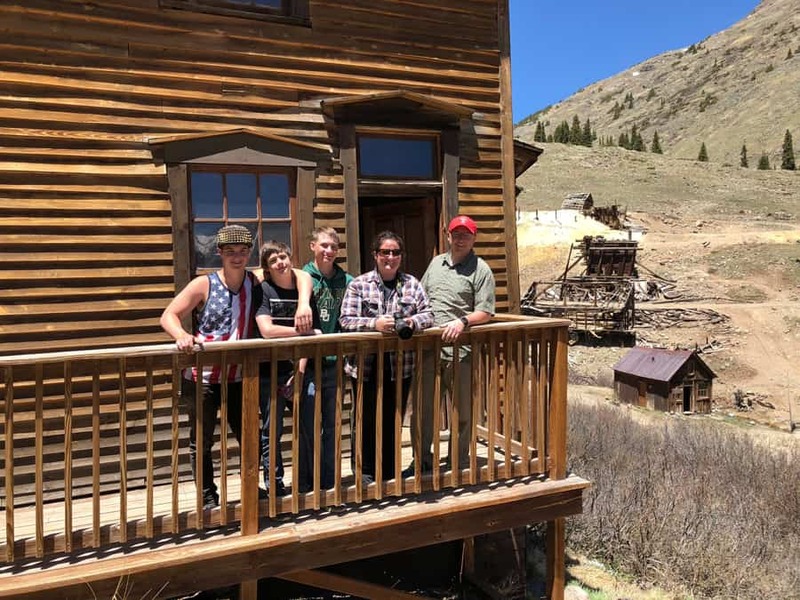 We spent some time exploring ghost towns while we were there. It was nice to get some fresh, mountain air to start the summer off right! Time is flying so fast and I can hardly keep up. They are doing things and meeting people that I am not sure of anymore. They want to hang out with their friends and stay out later at night (as late as allowed). It feels like they are slipping thru my hands and I’m not a part of their lives anymore. Last summer, we really worked on our summer bucket list and things we could do together to have fun over the summer. That was so fun, but it feels like the tide is changing with our kids. So this summer, my husband and I are doing some things differently to encourage them to stay home and bring their friends home too. We want to know their friends and we want our house to be the place they want to hang out. New Backboard-Our outdoor basketball hoop broke last summer, so we are replacing it with a sturdier version. Xbox-We upgraded our previous Xbox 360 to a Xbox One S so they could get newer games and play online with others. Backyard Games-We will be building some of the backyard games in this post to encourage outdoor play. Fire Pit-We will be increasing the size of our fire pit and adding chairs to sit around it. Having bonfires is a big summer activity here in the country. Snacks and Drinks-We are adding a second refrigerator in the garage for extra drinks and snacks for when their friends come over. Keeping the house clean-We will be keeping the house cleaner so that we don’t need notice for people to come over. Movies-We will add to our movie collection so that friends can watch new movies when they come over. Wifi Upgrade-We recently upgraded our Wifi with a new company so that we can run the computer, stream movies and play games online at the same time. Now, I don’t want you to think it will be fun 24/7 here. We still have a homestead to work and they will still have plenty of chores to do. They will be feeding animals, keeping the house clean, taking out the trash and keeping up the yard. They will be working on BSA merit badges and Eagle Scout projects. They will be attending church activities and practicing with sports teams. But in their down time, I want them to see home as a place they want to be and I want them to feel comfortable to invite their friends here too. Don’t all of these things cost too much? If all of these things seem too expensive, over the top or not necessary, I would say that our family is worth it. When I was raising three little boys, it was physically exhausting. They needed me all the time, didn’t sleep as long and were bundles of energy. Well, be careful what you wish for! 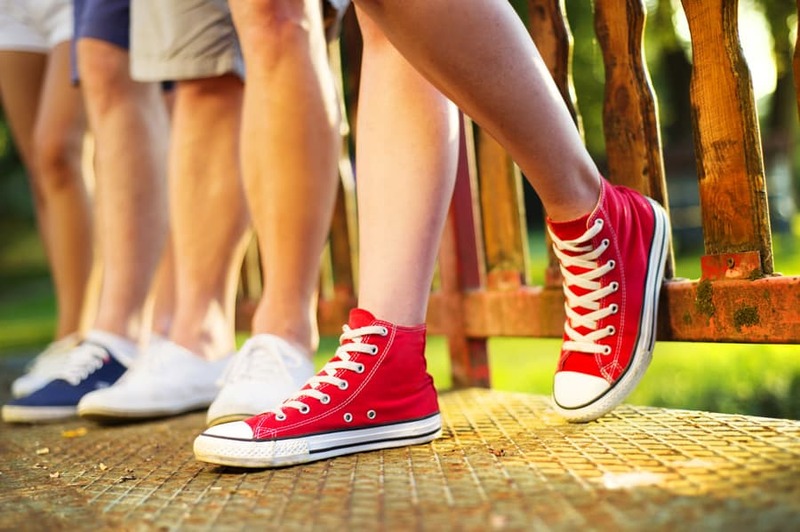 While raising little ones is physically tiring, raising teenagers is emotionally exhausting. I have never worried about so many things as I do now. Where are they? Who are they with? Are they making good choices? Are they being good examples to others? I second guess every decision I make and I probably won’t know until several years from now if I made the right ones. By then it will be too late to do anything about it. So if I can keep my teenagers at home at least a few nights a week, I can get to know them and their friends better. I will know that they are having fun and in a safe place. If I can keep my teenagers at home at least a few nights a week, I can get a little peace of mind. And right now, that is all I want. To know they are safe and happy. And I hope that they will know that home is a fun, safe place to be. In 5 years, my youngest will graduate high school and then they will all be gone. Sure, they will come to visit for holidays and vacations. But they won’t live here full time anymore. I want them to grow up and fly away. I want them to be productive adults and have their own families. But for now, I want them to be home as much as possible. Hopefully, these plans we have made will help to encourage them to do just that! 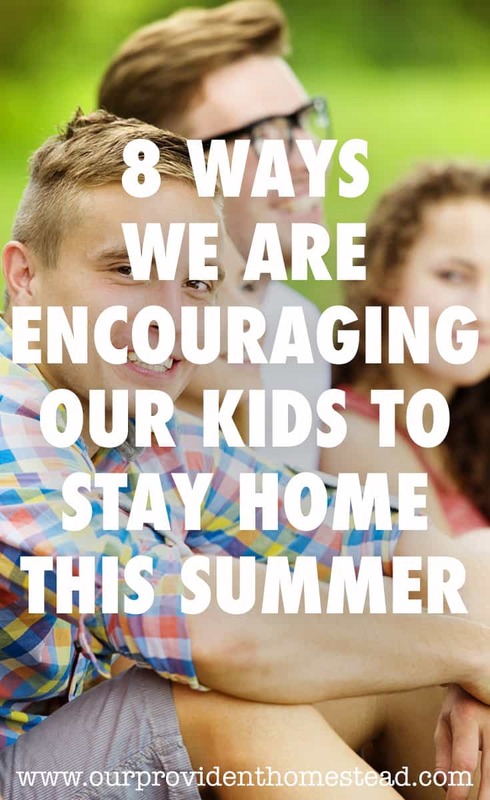 Do you encourage your kids to bring their friends home? Let us know in the comments below. And if you found this post helpful, please share! Our family loves to camp. We have an RV now, but for years we went tent camping. My middle son went on his first camping trip, in a tent, when he was 4 months old. Some people might think that was a little soon, but that is just part of our family life. We love being together in the great outdoors. 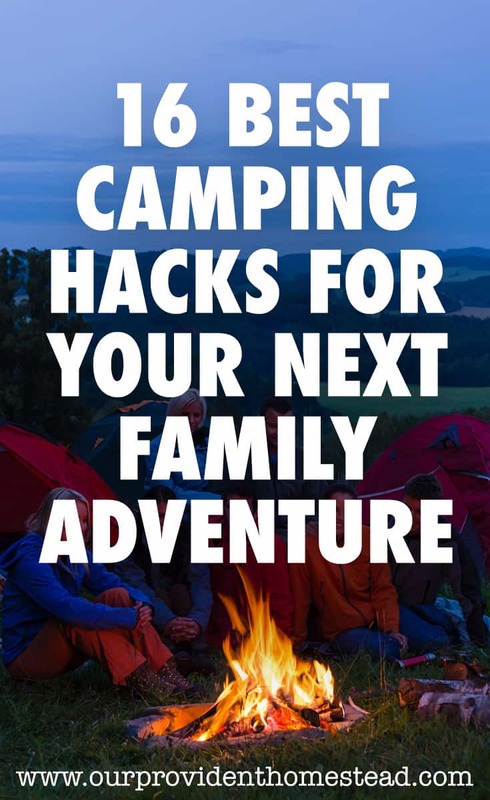 So today, I want to share with you the best camping hacks from around the internet to get you excited about summer camping season. 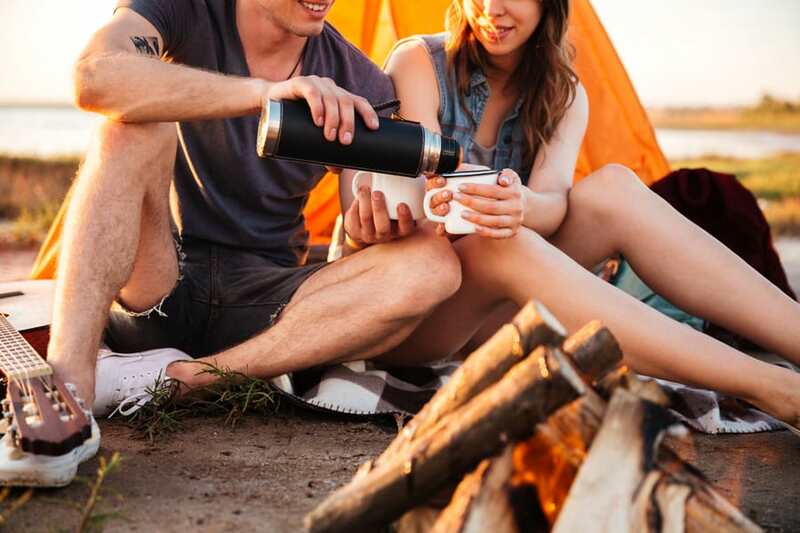 Whether it is summer vacation, a weekend away or full time rving, these hacks will help you have a better camping experience. Aren’t these hacks just amazing! Why didn’t I think of that? Camping is a great way to enjoy nature and your family at the same time. It can be a time to unplug and unwind together. I hope these smart hacks make your camping experience even better this year! Which hack are you going to try next? Let us know in the comments below. And if you found this post helpful, please share. Thanks! Do you wonder where your family came from? Are you the first generation to live where you live now? Who was the first in your family to graduate from college, own their own home or immigrate to your country? These questions (and so much more) can be answered by peeking into your genealogy. When I started looking into my family history, I found out that one of my relatives died by falling off of a roof. When the kids went to school that morning, they said goodbye to dad, who was working on the roof. Sometime during that day, he fell off the roof and died. That morning was the last time they saw their dad alive. So sad and yet stories like this remind us how precious and fleeting life can be. 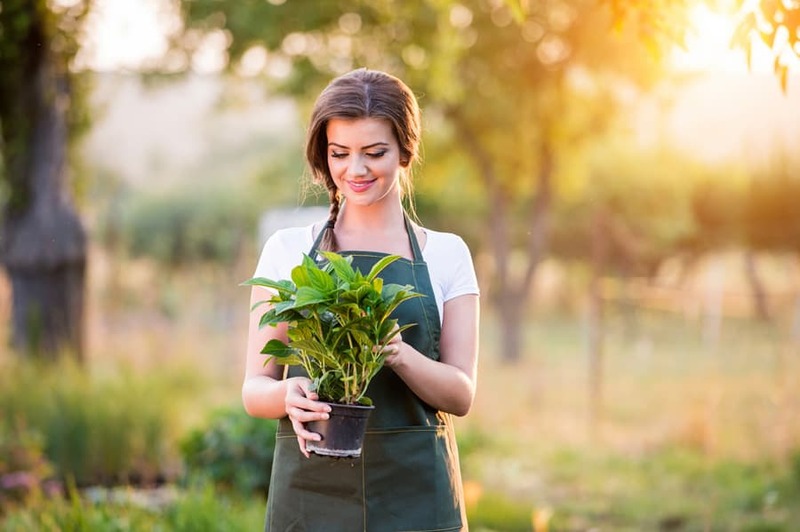 When you start doing your genealogy and filling in your family tree, you can learn so much about your ancestors and how they lived before you came along. Find out what your family already has recorded. Does your family have a family bible or book they keep records in? Do they have old pictures or stories you want to record? These family histories are a great place to start to fill in your family tree. Use ancestry.com. Ancestry.com is a great resource to use to find government and personal records of your family members. It is a paid service, but they have a free trial where you can get alot of your information in a short amount of time. Set a goal. What do you really want to learn about these people that came before you? Do you want to know where they came from? Do you want to know their education or their big life events? If you set a goal to (for instance) find out who was the first person to immigrate to America in your history, that can give you an idea of how far back you need to go to get there. Do your own research. Once you get the names and dates from other family members or online, your journey doesn’t stop there. Can you find out about their daily lives? Were they rich or poor? Were they educated? Did they fight in a war or participate in government? These stories really bring these people to life, where you feel like you know them. 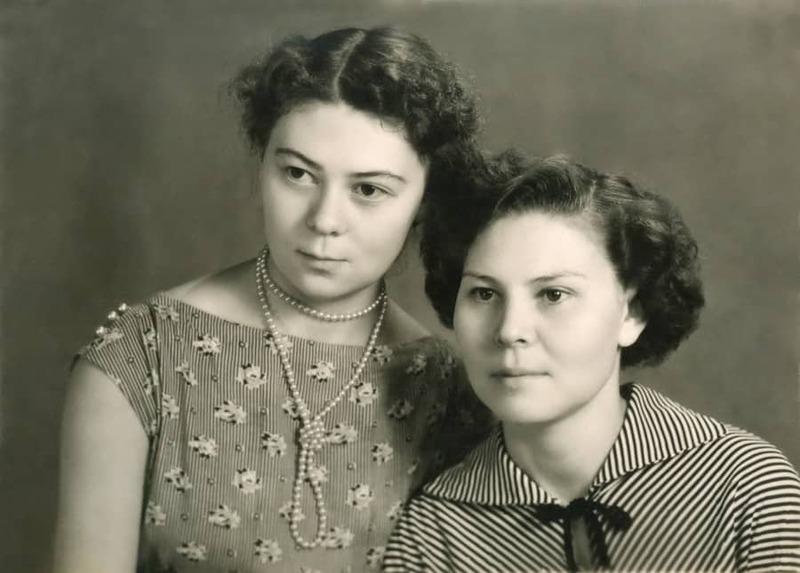 Your oldest living relative– Do you have a grandmother or great grandmother you can ask about your family? Maybe you can ask her questions and audio or video record her answers for your children. Don’t wait! You never know how long these people will be around, and when they are gone you will be glad you have this record. Don’t know what to ask? Check out this website to get the ideas flowing: 30 Life Questions You Need To Ask Your Grandparents. The LDS Church– The Church of Jesus Christ of Latter-Day Saints has a wide variety of information about genealogy and they can help you find your ancestors for free, even if you aren’t a member of their church. They have genealogy centers at many of their church buildings where people volunteer during the week to help do genealogy work. 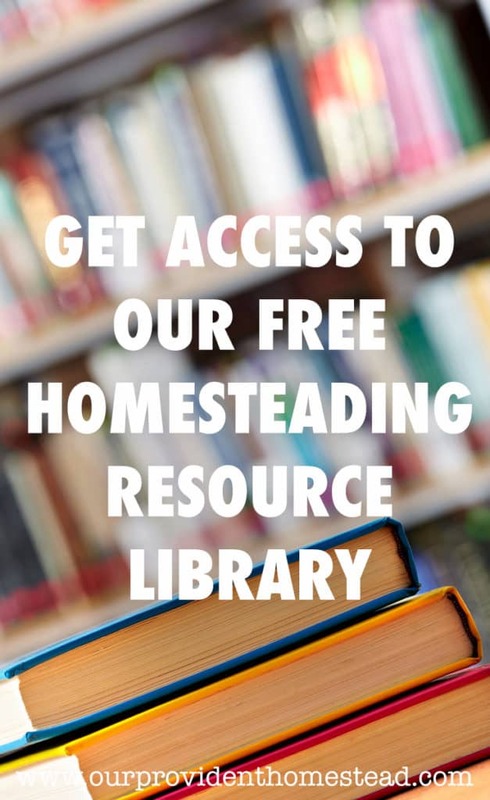 It is a great resource. Online groups and resources– Besides ancestry.com, there are other websites, facebook groups and other forums that can help you with your research. Even Google may help you find newspaper articles or other information on an ancestor. It really is amazing everything that we have at our finger tips these days. Now that you have the information, what do you do with it? Keep a written record for your family. Keep a physical and digital copy of your family history records, in case one is lost. Share these with your family members so that they are more likely to last. Make a visual record to make the names come to life. If you can find pictures of the people, that makes it even more real. Now of course this will be harder the farther back you go. But you should be able to find photos for several generations back anyway. Keep digging. You can always go back further or find out more information. You may uncover things that your current family members didn’t even know about. Share it with your family. Family history can bring families together, so share what you have found with living relatives so they can enjoy the stories too. Family history is fun and can be addictive. With the internet, there is no end to the information you can find. If you tap into a famous or royal line, it is usually easier to go back further in time because records were scarce for common people “back in the day”. 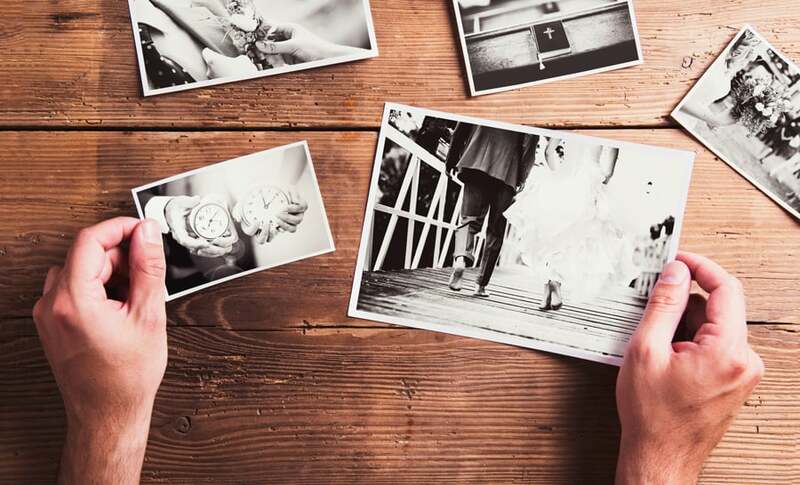 Once you find out about your family history, share it with other members of your family near and far. You may connect with relatives online that you didn’t know existed until you started your research. 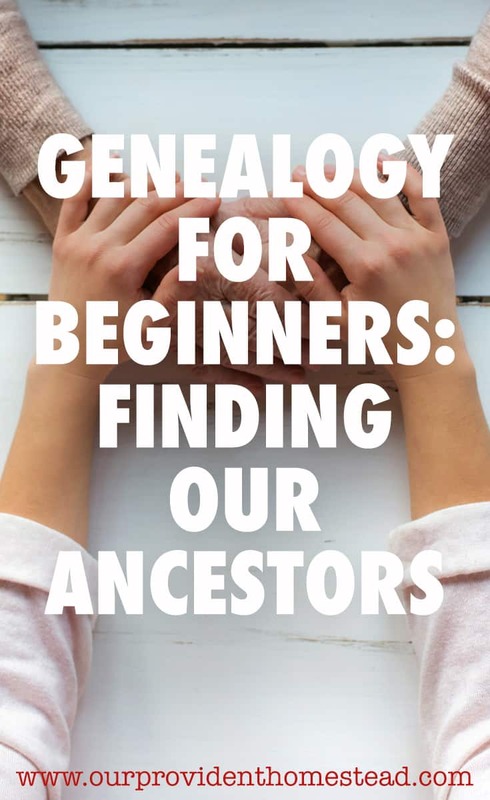 Genealogy can be something fun for you and sharing that information can be a great gift to those that come in later generations. So get out there and find out what you can about your family today! How many generations back do you know about your family? Please let us know in the comments below. And if this post was helpful, please share. Thanks!